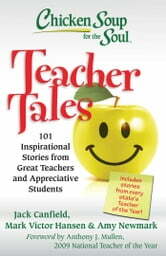 Chicken Soup for the Soul: Teacher Tales brings much-needed inspiration to teachers, and brings together great stories about teaching from the 2009 National Teacher of the Year and all the 2009 State Teachers of the Year, as well as other teachers and stories of thanks from students. A great teacher gift all year round. 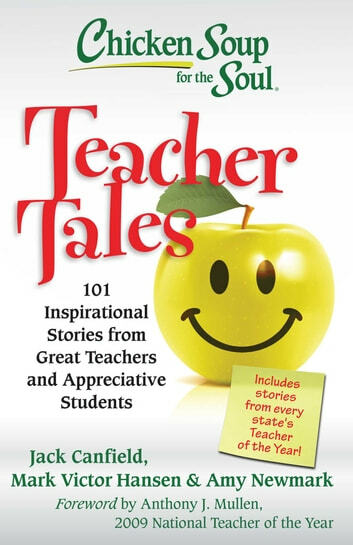 There’s always that one special teacher or student, and Chicken Soup for the Soul: Teacher Tales regales all educators with its heartfelt, inspiring, and humorous stories from inside and outside the classroom. Stories from teachers and students about their favorite memories, lasting lessons, and unforgettable moments will uplift and encourage any teacher. A foreword by Anthony J. Mullen, 2009 National Teacher of the Year, and stories from all the 2009 State Teachers of the Year.